While there is not enough choice in Metro Schools, there is some choice and more and more as time goes by. I have a niece and nephew who graduated from Hume Fogg and got an excellent education. Do not just accept that your child must attend a failing school. 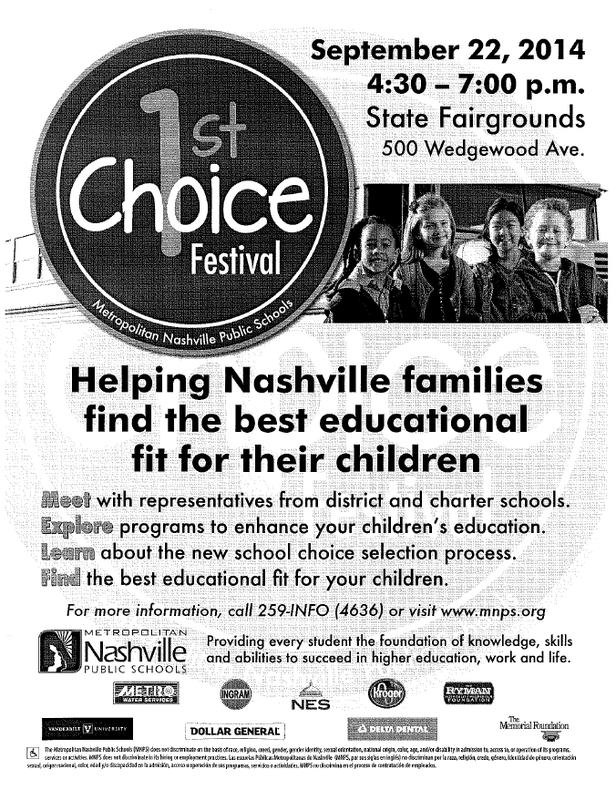 Attend this event and find out what programs may enhance your child's education and about the choice process.